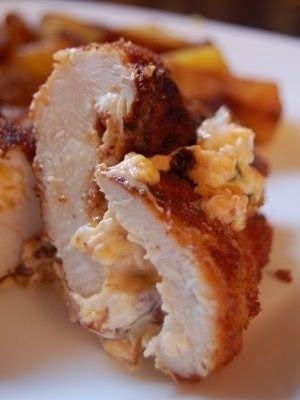 Roll the chicken breasts in bread crumbs to coat. Heat the oil in a skillet over medium-high heat, and cook chicken breasts until no longer pink in the center and the juices run clear, about 8 minutes per side. If your chicken breasts are thick, like mine were, they can be finished in a 350-degree oven.